For several months, I have been musing about the kind of display I would like for my creations. I tend to prefer scenes that are closely linked to nature, but at the same time, I like a little bit of class…..
On my recent trip in to Portland and remembered that a favorite thrift store of mine always has a few styrofoam heads for sale as Halloween approaches. This year was no exception, in fact, they had hundreds. I ordered several spools of jute from Amazon and VIOALA! 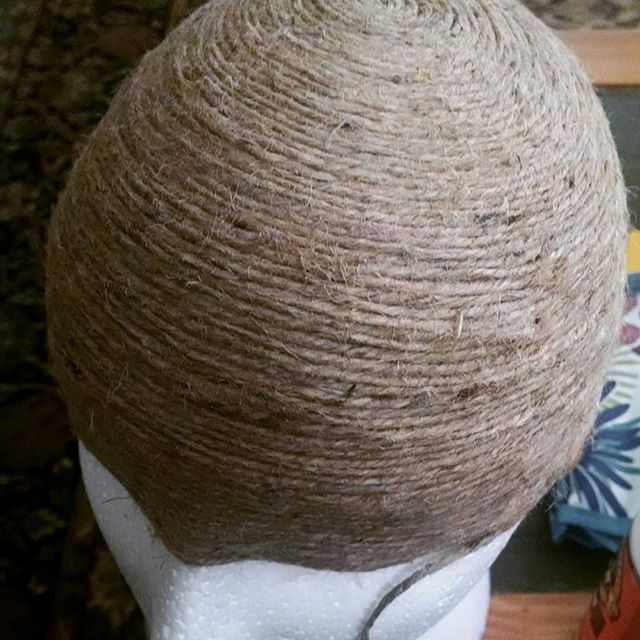 Jute heads!